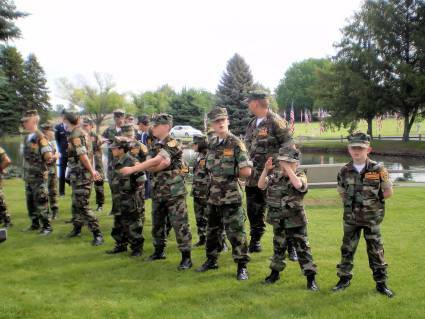 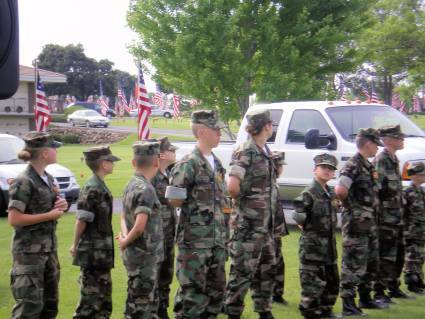 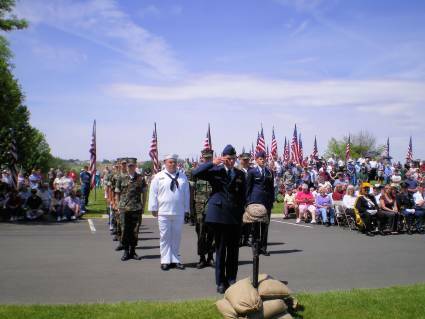 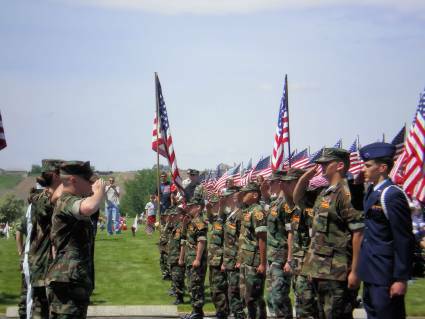 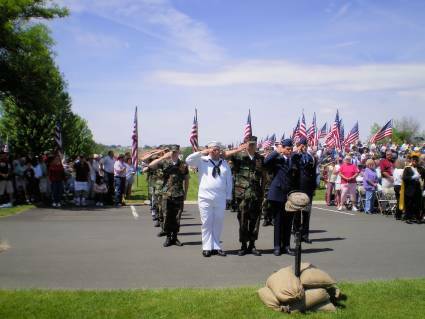 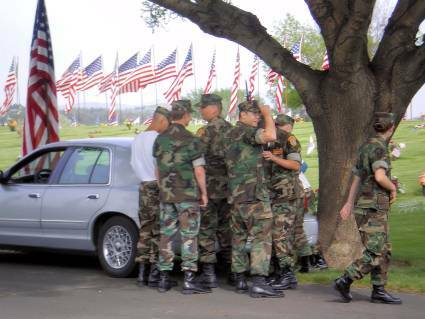 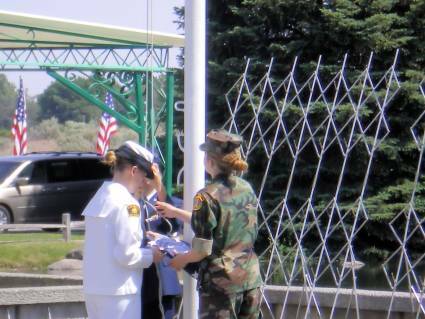 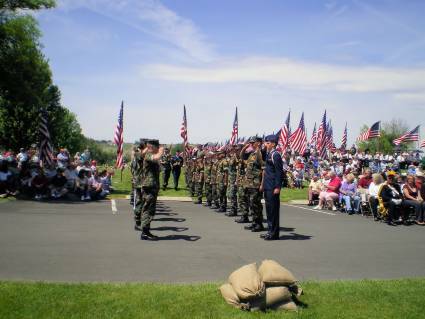 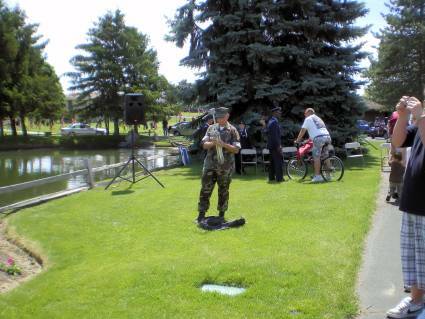 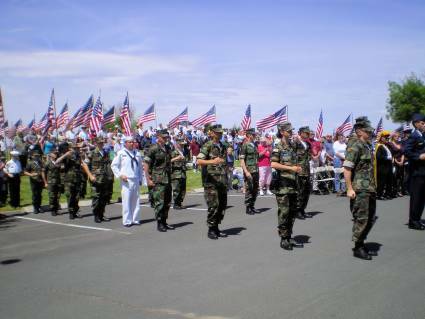 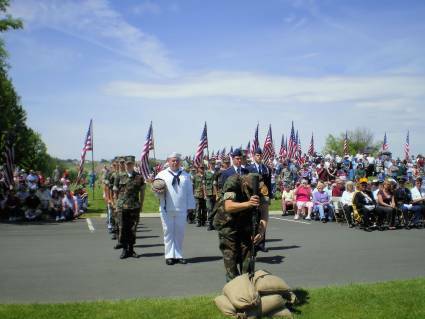 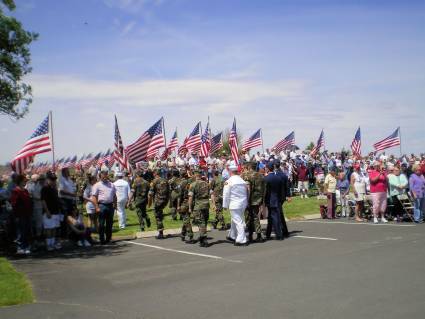 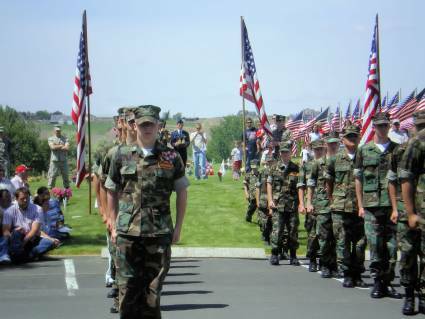 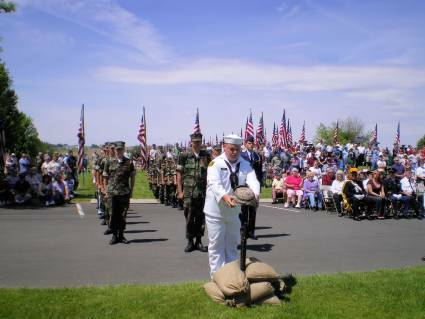 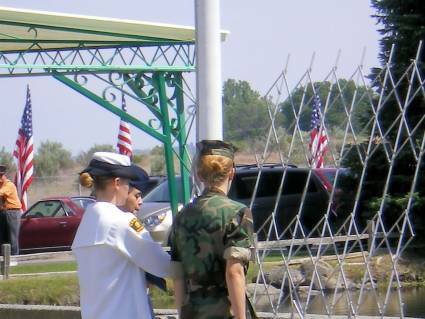 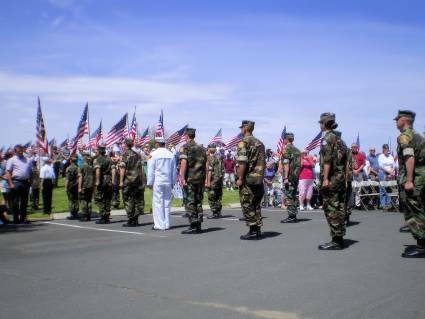 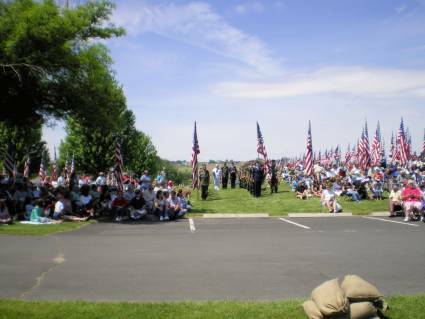 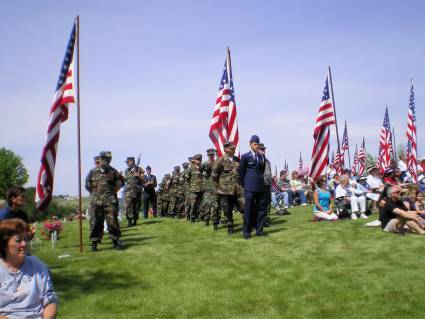 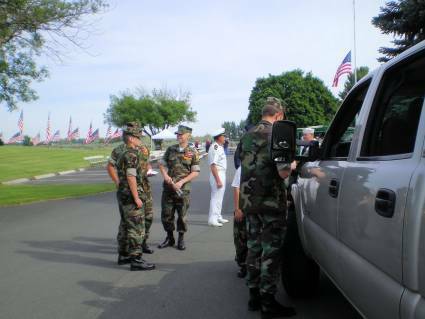 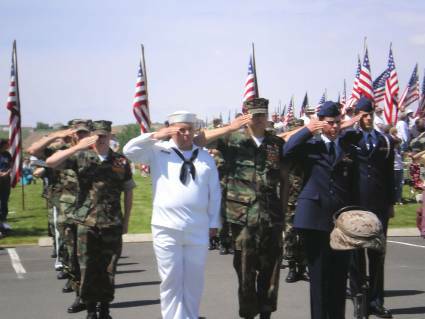 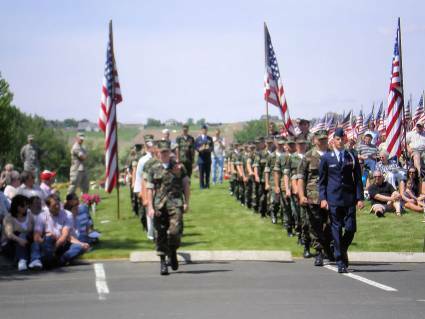 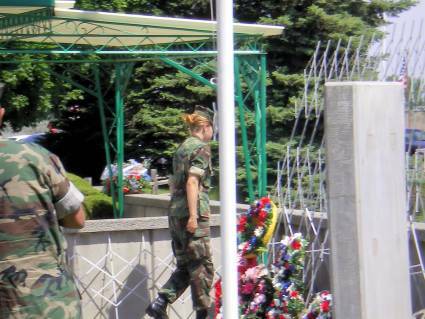 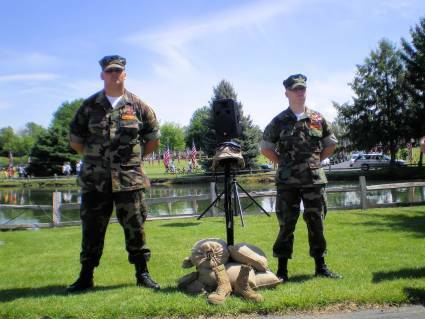 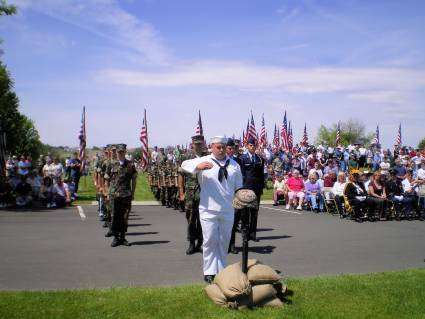 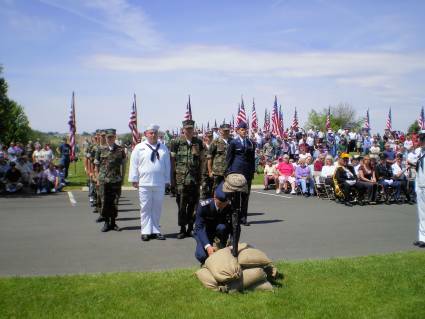 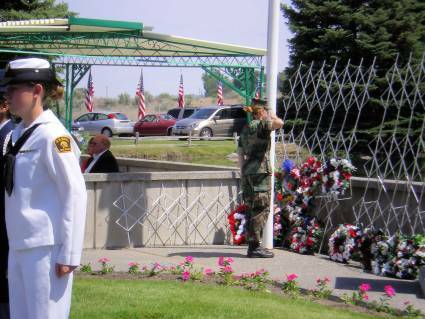 On May 26, 2008, our Tri-City Young Marines participated in the annual Memorial Day Services at Sunset Memorial Gardens in Richland, Washington. 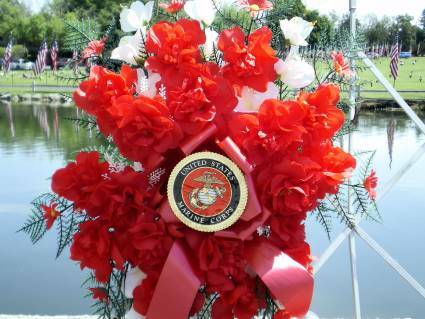 If you've never been to one of these services, we highly recommend you mark this on the calendar for next year, it is truely a touching memorial service for all those who have left us. 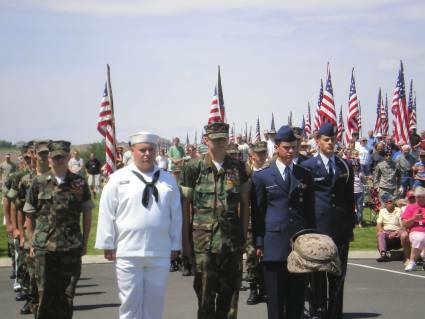 Our Young Marines, along with the Civil Air Patrol and Sea Cadets provided a wonderful looking sea of uniforms, united together, to pay honor and respect to loved ones that sacrificed their lives for our Country. 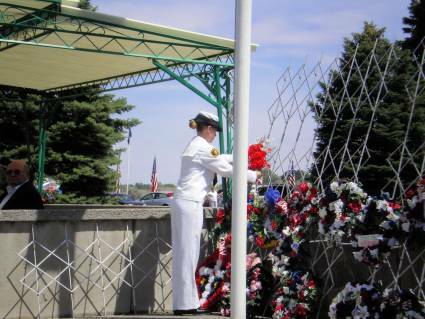 It is an honor to pay tribute to our Fallen Soldiers, and we take great pride in being a part of this service. 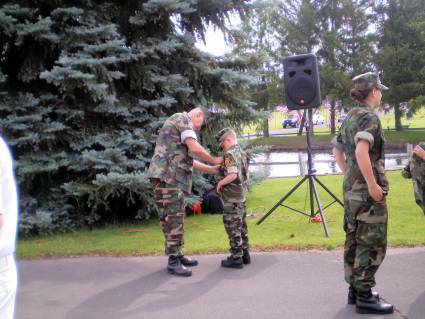 Special thanks to our Staff members who were present to make this event possible.